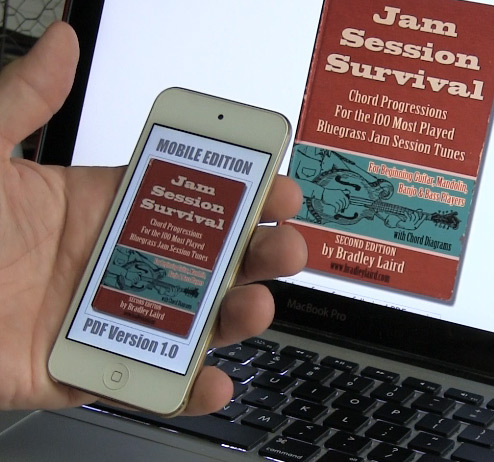 This website is a jam session survival kit! 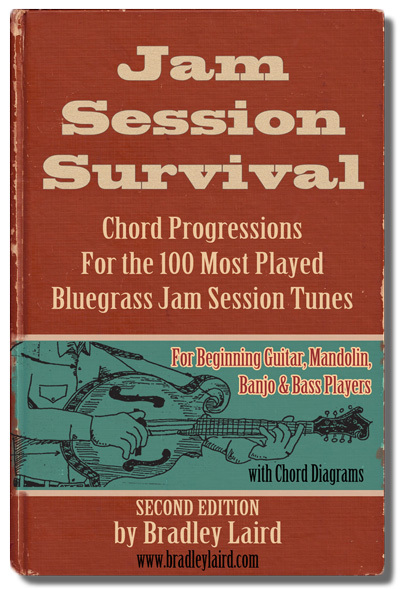 I prepared this list of the 100 most popular bluegrass jam session tunes by attending a large number of jam sessions in the Southeast over many years and writing down every tune which was played and the key it was played in. After dozens of sessions, I crossed off the oddball tunes and kept the ones that were coming up over and over. This site is designed for learning the chord progressions to these most common tunes which you will encounter at jam sessions. Scroll down for the list of tunes and free chord progressions. 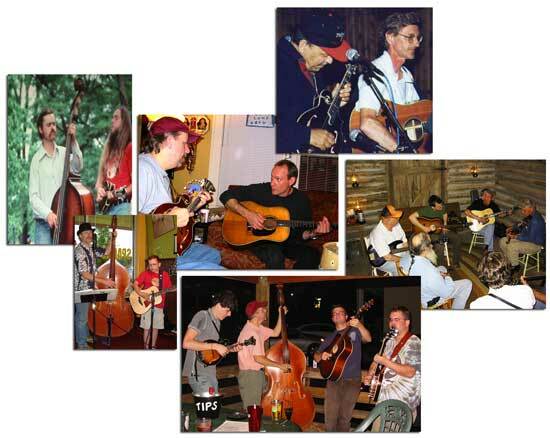 Below is a list of the top 100 bluegrass songs played in bluegrass jam sessions. The top 10, most often played songs are presented here free. They are links so you can easily find them. Print them out and use them at your next jam session! Free stuff is marked with "*"
Download the full sized version to print out or the mobile version formatted for phones and tablets. Less than the price of a set of strings at only $5! All 100 chord progressions in an 8.5" x 11" pdf format. Great for printing out and carrying to a jam session. Less than the price of a biscuit and coffee at only $5! All 100 chord progressions in a pdf file customized for smart phones, tablets and other mobile devices. These pdf files can be quickly downloaded to your computer. You will receive a download link after your transaction is complete. Check your email after you complete the purchase. Sales and downloads are processed by payhip.com. Read these downloading tips, especially if you use an iPad, before downloading. 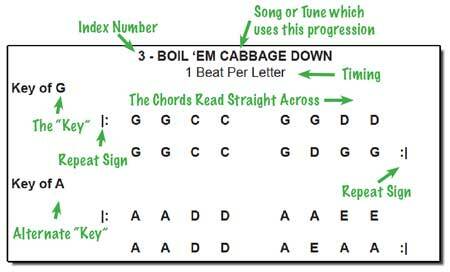 More Information About These "Cheat Sheets"
When you drop in on a jam session you will soon discover that there are a lot of songs being played which you have never heard. This group of the 100 most popular jam session tunes should give you an advantage and help you play better. You can study them in advance and I can guarantee that the experienced players will know all of these songs! You can also print these out and bring them with you. So, if they ask you what YOU want to play just suggest one of these bluegrass and old-time standards. I used to call this the "Cheater's Bible" but it's not really cheating to look at a cheat sheet if it helps you play better. In time you will memorize the songs and you will not need the crutch any longer. Think of these sheets as jam session training wheels. As I said already, be sure to read the instruction information page so that you understand how I put these charts together. Note: Sometimes there will be more than one song which uses the same chord progression so if you learn one you have learned the others too! That, by the way, is why chord progressions cannot be copyrighted. Too many songs share the same chords. The same goes for song titles. Have fun and happy pickin. Click here for more detailed information about this book.